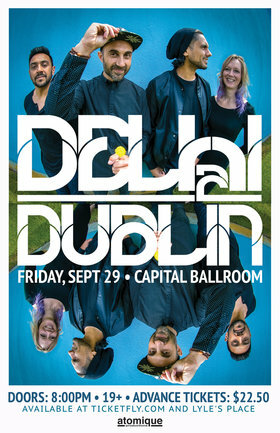 Delhi 2 Dublin is a live-electronic, bhangra, hip-hop, world-pop, hybrid act whose concerts have been likened to "90 minutes of freebasing joy". Famous for their energy onstage, the five member crew has played over 100 shows a year for the last decade at festivals like Electric Forest (USA), Woodford Folk (Australia) and Bali Spirit Festival (Indonesia). 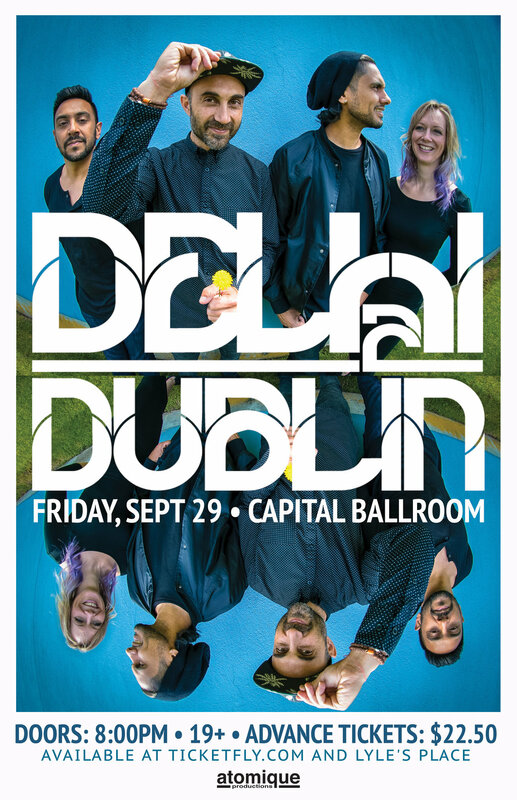 Connecting roots to future, D2D features a heavy electronic backbone with live traditional Indian instruments (dhol, tabla), fiddle, electric guitar, and the stunning punjabi-english vocals of frontman Sanjay Seran. The new album, We're All Desi sees the notorious genre smashers continue to evolve into fresh sonic territory. Teaming up with producer Nick Middleton (The Funk Hunters), the result is a battle call for a quickening world - more truth, more smiles… and a lot more bass.